As promised to the subscribers of our Newsletter, today we show photos of decals for models Fokker E.V. 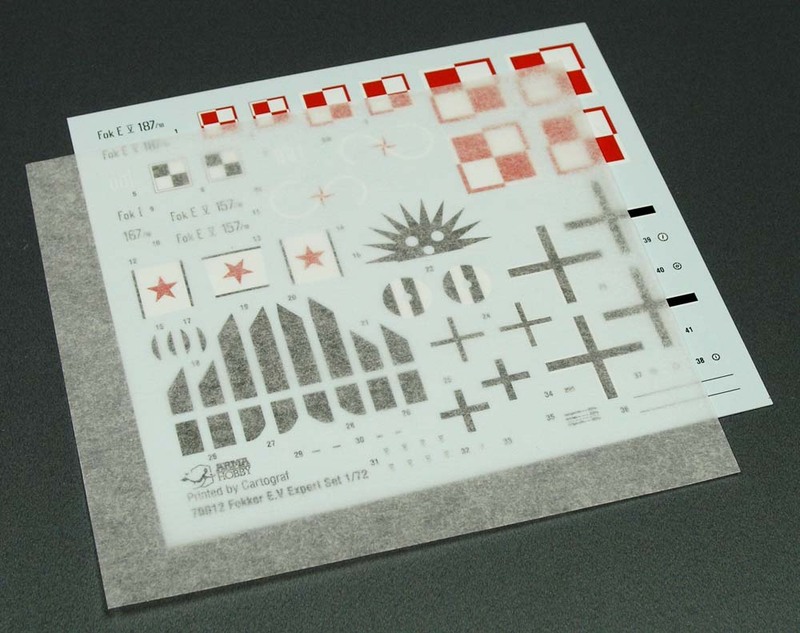 See extensive Lozenge printed fabric as well as plywood pattern decals. Colour profiles with a description of the markings can be found in the previous blog entry link. 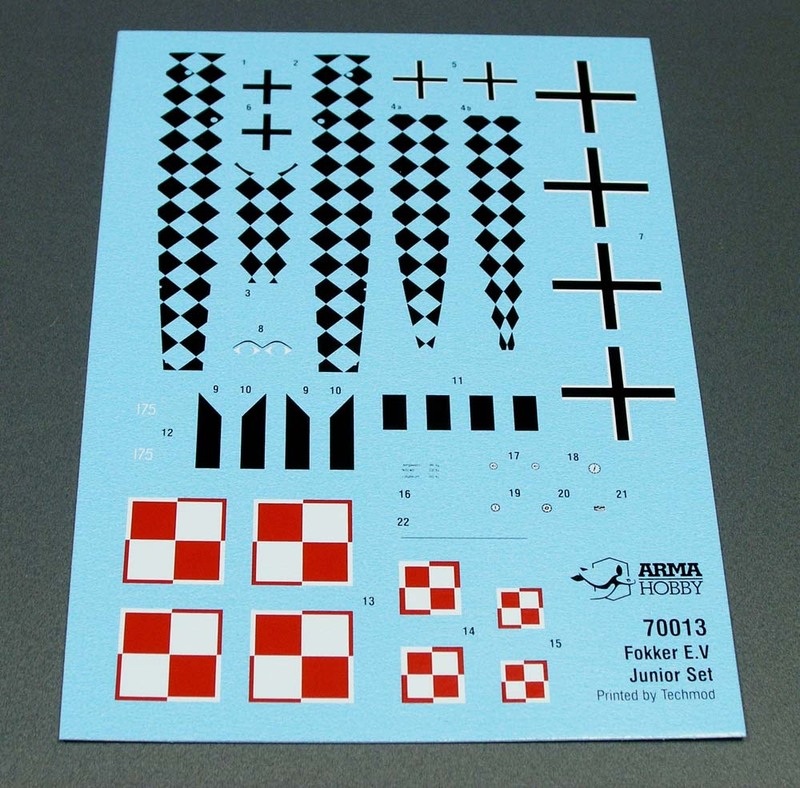 Decals for #70013 Fokker E.V. 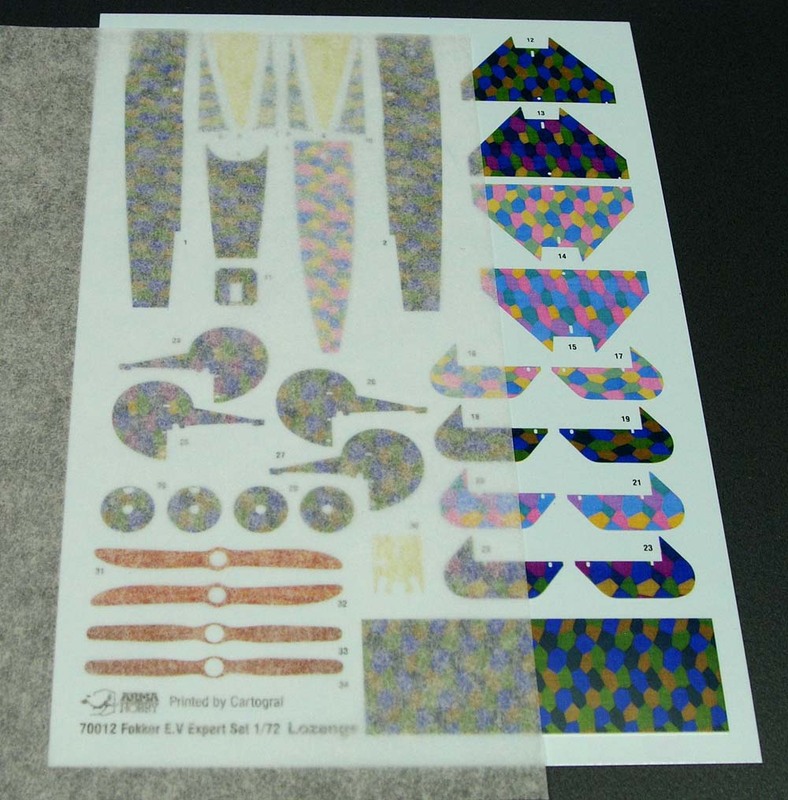 Junior Set 1/72 model kit is printed by Techmod. 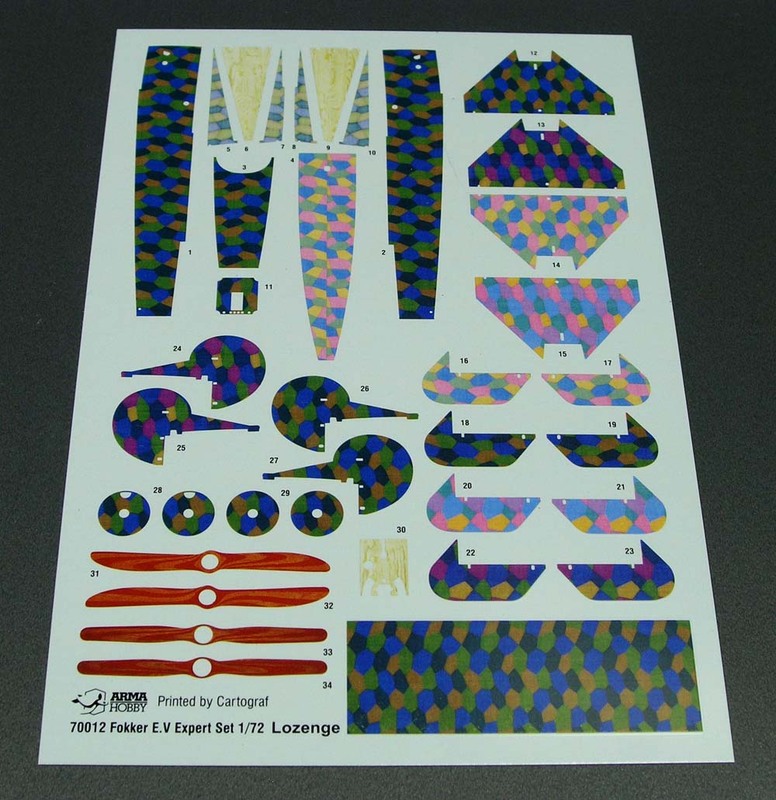 Decals for # 70012 Fokker E.V Expert Set. 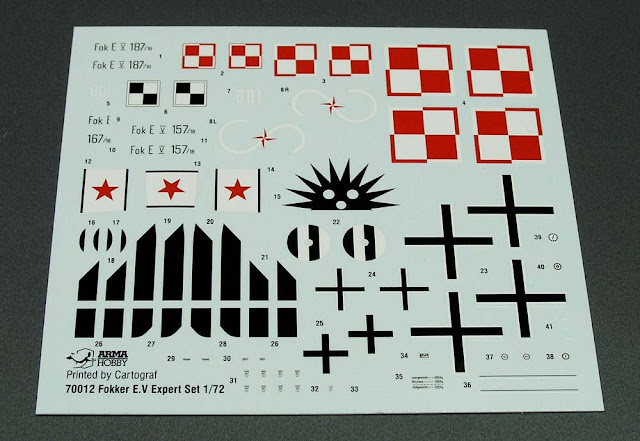 Decals for Expert Set Were printed to highest quality by Italian Cartograf.